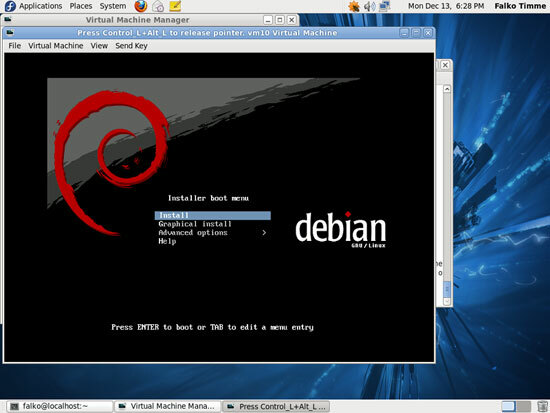 The KVM guest will now boot from the Debian Lenny Netinstall CD and start the Debian installer - that's why we need to connect to the graphical console of the guest. 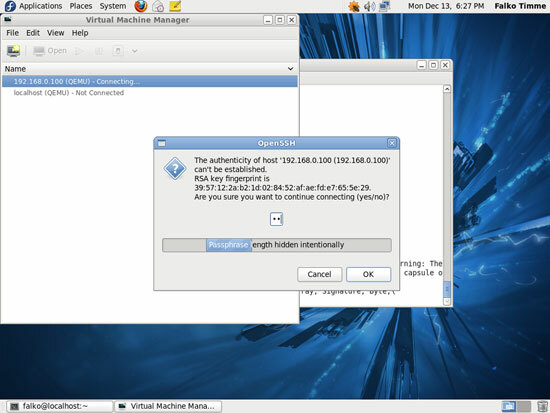 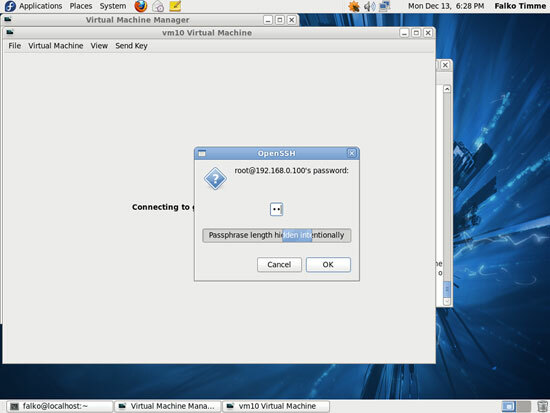 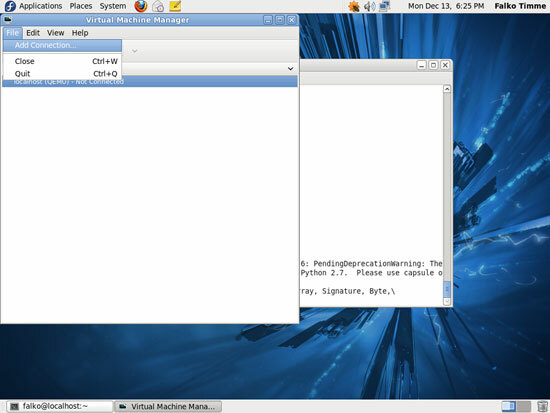 You can do this with virt-manager on the Fedora 14 desktop. 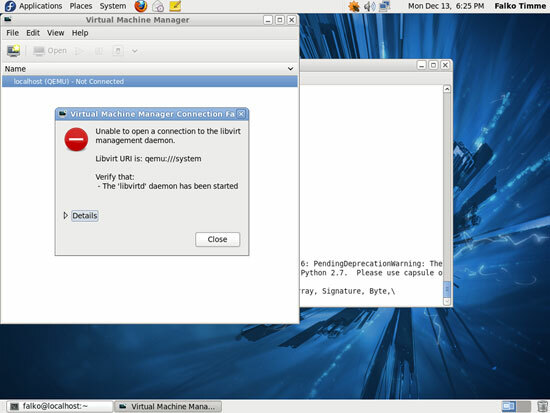 as a normal user (not root) on the desktop to start virt-manager (this is exactly the same on an Ubuntu desktop).